About the DCC Educational Foundation, INC. The Danville Community College Educational Foundation supports the programs and projects of Danville Community College. The Foundation is a tax-exempt, non-profit organization governed by a Board of Directors which is composed of concerned citizens, donors, and alumni. The Foundation was established to enhance the academic excellence of Danville Community College and improve the College's ability to serve its students. Objectives of the Foundation include: awarding student SCHOLARSHIPS, providing professional development for the faculty and staff, ensuring that instructional equipment keeps pace with technological changes, strengthening the academic programs, and encouraging cultural activities. Investing in Excellence - One Student at a Time . . . The scholarship recipients and donors mingle at the Institute for Advanced Learning and Research after the Scholarship Reception September 14 where over 300 scholarships were awarded. 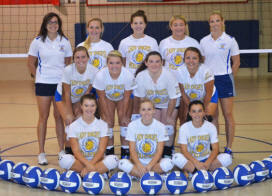 The girls volleyball team is in its first year of competition, joining baseball as the college's second sport. The Foundation hosted its first Golf Tournament in1999, raising over $13,000 for scholarships. In 2013, the Tournament added a Silent Auction. The annual tournament, one of the strongest regional tournaments in the college’s service region, raises approximately $30,000 yearly for scholarships and DCC's athletic programs. You or your employer or business is invited to sponsor a team in this year's tournament. For more information on the annual tournament and auction, please contact the Foundation office at 434-797-8495. 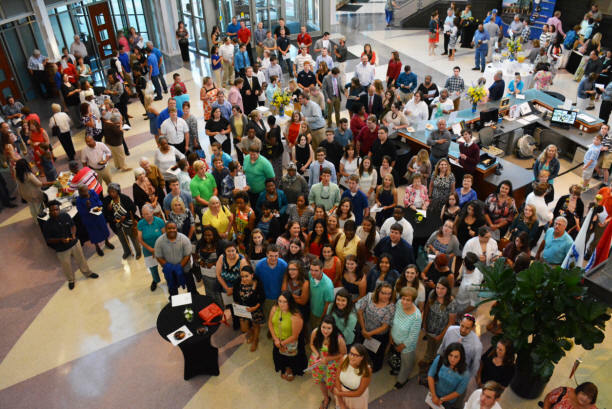 Scholarships make a positive impact on the lives of many DCC students. Although DCC’s tuition is far less expensive than tuitions of four-year institutions, an increasing number of students cannot afford the cost of higher education. State and federal funds are available to eligible students; however, there are always deserving students who have excelled academically for whom no assistance can be found. A scholarship sends a strong message to students that someone believes in them and is ready to invest in their futures. Each year over 300 scholarships totaling $600,000 to $700,000 in financial assistance are awarded to DCC students through the generosity of the College's supporters. Danville Community College’s Educational Foundation also awards scholarships to students graduating from DCC who are transferring to four-year institutions. When you provide the funds for a scholarship, you are investing in a student's future. Two types of scholarships are awarded at Danville Community College, either of which may be designated for tuition, books, and/or fees. Endowed Scholarships . . .
A yearly award will be made in perpetuity. A minimum endowment of $20,000 is required; contributions may be made over a designated period of time. The endowment balance never decreases. A scholarship is awarded each year based on five percent (5%) of the endowed balance. Annual Scholarships . . .
A one-time-only award or an annual gift from an individual, business, or organization. YOU design the scholarship based on your preferences by deciding . . .
YOU name the award for yourself, a friend, a family member, or a favorite DCC faculty member or high school teacher. YOU decide who will be listed as donor--yourself, your family, your business? As a donor, YOU identify any special considerations about making the award. Perhaps you wish to be billed annually for the award or maybe the award needs to be made at a particular time of year.